Farming in the late 1800s was backbreaking work full of uncertainties. 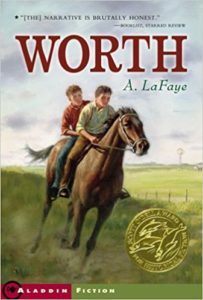 Worth describes the difficulties of farming, the fragility of life, and the conflict between farmers and ranchers for land during the pioneer years. Nathaniel Peale, 11, lives on a Nebraska homestead with his parents. He takes pride in the way he is able to help his father with the hard physical work of farming and the important role he plays in his family. While helping his father bring in the hay before an approaching storm hits, lightning spooks the horses and Nate’s leg is crushed under the wagon wheel. 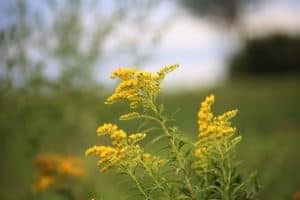 His father, guilt-ridden and blaming himself for the accident, becomes increasingly distant towards Nate and struggles to get the farm work done on his own. Against the wishes of Nate’s ma, his father adopts John Worth from the Orphan Train, which brings orphans from New York City to the Midwest, to take Nate’s place on the farm and perhaps in the family as well. Both boys must come to terms with each other as well as find peace within themselves.